The collections of GD Dorigo interior doors come also to life in non-residential areas decorating with elegance and originality the context of the accomodation facilities and guaranteeing the maximum safety. Splendid inlaid or pantographed doors that are approaching the world of art. Innovative and materic materials able to animate every ambience with creativity and colour without giving up on sobriety. GD Dorigo distinctive quality and appearance in a wide range of solutions between wood and laminate allowing every project, even the most particular, to become something unique. 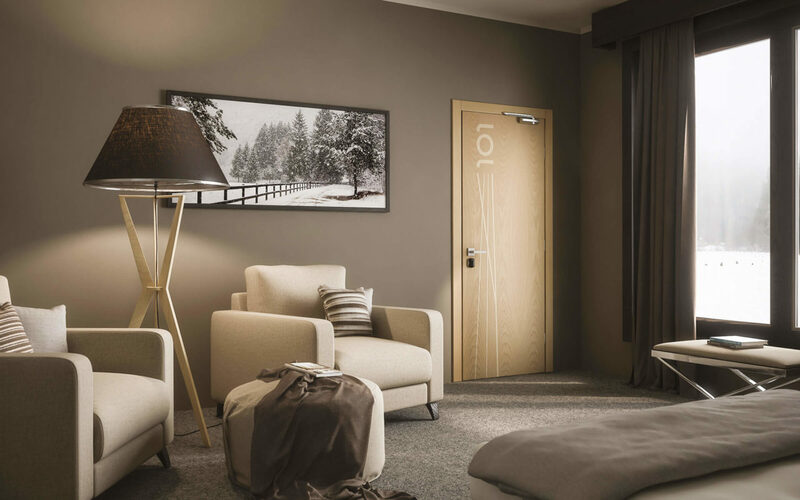 The brand GD Dorigo characterizes value products with a particular care to details and built with selected essences: strong, reliable and lasting hotel doors produced with the same attention of the artisan masters of the past. The most evolved technologies increase the perfection grade of the finishings that makes the GD Dorigo hotel doors a practical and functional furnishing system. With particular attention on safety, GD Dorigo proposes the fire doors, required by law in public places such as hotels, residences, companies, scholastic institutions, hospitals and communities. The fire doors are the tangible proof of GD Dorigo sensibility and attention in respect of the regulations, because they are all UNI standard and certified. This standard establishes the fire-resistance testing methods and the classification criteria of mobile, or fixed, elements for the closure of openings in compartmenting walls. 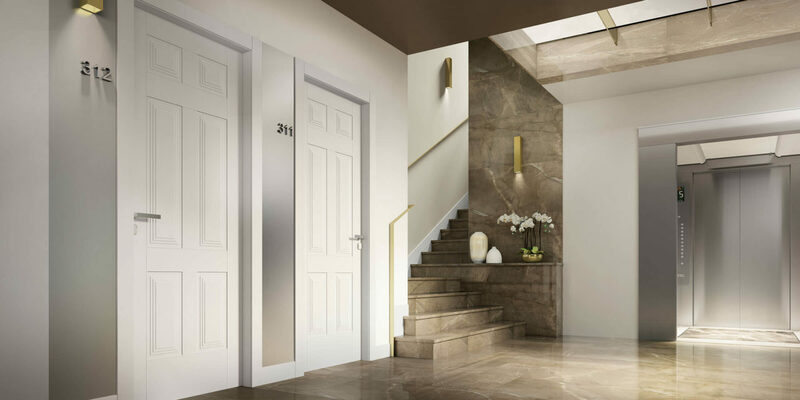 The GD Dorigo fire doors are the ideal solution for protecting your own building in full compliance with UNI 9723, EI 30 and EI 60 fire-resistance legal regulations according to UNI EN 1634-1 and UNI EN 1363-1 standards, also in the aphonic version.